Kept France Catholic as long as King Francis I recognized the pope's power over religious councils. Catherine de Medici ordered Huguenots to be killed. The pope was so happy to hear this he paid the messenger a bag of gold. "Paris is well worth a mass." He won the War of 3 Henries by switching religions (Huguenot, Catholic, Huguenot, Catholic); He was politique because he was more concerned with keeping peace than maintaining a state-wide religion. Ex: He let the Huguenots practice in areas of Huguenot majority. Stabbed by a religious zealot. Louis XIII turns power over to Richelieu. Richelieu created the French Academy to regulate the French language. Richelieu hated the nobles (strengthened intendents), Hapsburgs (sent reinforcements to Swedish king Gustovus Adolphus during Thirty Years War, then sent French troops), and Huguenots (took away their fortifications around their cities). Richelieu sends French troops to support the Swedes and Swedish king, Gustovus Adolphus. He sends them because he wants to ensure the weakening of the Hapsburgs. "By the time this is over, France is the strongest countgry in Europe." "I am the state!" He was bad at economics because he created a large tax exempt class by creating the nobility of the robe and fought in lots of pointless wars. He also forced Catholicism and revoked Edict of Nantes which made the Huguenots flee (goodbye Hugenot tax base). He forced nobles to live in Versailles. In-bred, incompetant Spanish Hapsburg king Carlos II gave Spanish throne to Louis XIV's grandson, Phillip of Anjou. Britian, Spain, and the Netherlands squawked and fought against France. Britain, Spain, and Netherlands won. Ended in Treaty of Utrecht (No Spance, Phillip of Anjou becomes Phillip V of Spain). Famous mistress - Mme de Pompadour (famous French salon woman). Rococo Art. Essay "Spirit of Laws" published. Three branches of government and constitutional monarchy. France helped the Americans to get back at Britain for the Seven Years War. This drained France's money / resources. They are so dumb. In Europe - Prussia vs. Austria. Colonies - Prussia's allies (England/France) vs. Austria's allies. France loses control over the colonies. Essay "Candide" published. Advocated free speech. Hated the church. "Crush the thing!" he said. Essay "Social Contract" and "Emile" published. Social Contract - General Will: people give governments right to rule. Government is a necessary evil. Society corrupts people ("chains"). People are "noble savages". Emile - kids should learn on their own and teachers are there to make sure the kids don't hurt themselves or other people. Considered against Englightenment because he was not in favor of reason, but of instinct and compulsory behavior. Abee Sieyes was the dude who said the third estate is the most important. Assignats were paper money backed by church property. Civil Constitution of the Clergy - put the church under state control. Dumbest move on the Legislative Assembly's part because it turned peasant's away from it. Constitution of 1791 - made Louis XIV a constitutional monarch. Reign of Terror - Robespierre's attempt to weed out counterrevolutionaires. Killed lots and lots of peasants. Thermidorian Reaction - the people kill Robespierre. Hurrah. 5 man council. Kinda sucked but the people were okay with it because it provided peace and stability. Concordat of 1801 - Made France Catholic again. Continental System (1806ish) - System of economic warfare against the British. Peninsular War - guerrilla warfare in Spain, "Spanish Ulcer"
Battle of Waterloo - Napoleon's last battle with Britain and Prussia. Charter of 1814 - Louis XVI as a constitutional monarchy. 3 goals - legitimacy, reparations, and balance of power. France's representative - Talleyrand. How was he treated you ask? That I am not sure of. But I do know he was a super good negotiator. France at first was not treated harshly, then after the Hundred Days, France was required to pay more reparations. July Ordinances - took away freedom of press and voting rights for the middle class. Also dissolved Chamber of Deputies. This angered the French people. Against Charles X. The people revolted and built barricades in the streets. Called the Citizen King and his reign was known as the July Monarchy and the Bourgeois monarchy. He was different because he ruled simply and dressed in "citizens" clothes. Ignored the demands of the working class and that caused the February Revolt. Against Louis Philippe. Resulted in the Provisional Government. Louis Blanc was a socialist who wanted workshops to employ the urban poor of France. FAILURE. Unicameral legislature. Any male could vote. President Louis Napoleon Bonaparte. Heavily influenced by socialism. 4 days in June. The workers were rioting over the closing of the workshops, because they paid the workers for doing basically nothing. Republic takes over. Believed in Sola Fidei, or salvation through faith. Believed in the Priesthood of All Believers, which said that all people are equal to God. Was a conservative with government and politics. Known as the "Universal Monarch". His mother's parents were the monarchs of Spain and his grandparents on his father's side were from HRE. He split this land between his son, Philip II of Spain, and Charles VI of HRE, his brother. Called Luther to recant. Luther didn't recant. Used Luther's priesthood of all believers to justify equality in politics. Luther was like nah, stahp you theiving murderous horde. Leage of Augsburg (Protestant leage) vs. Catholic priests. Charles V (Catholic) of HRE won. Protestants vs. Catholics, then everyone vs. Hapsburgs. Started with Defenestration of Prague. Richelieu sent troops to the aid of Sweden. The war was now a Catholic country (France) vs. another Catholic country (Spanish). Netherlands independent. You can be Calvinist. Concert of Europe: United Kingdom, Austria, Russia and Prussia and France in an alliance to restore balance of power. Called "The Soldier King" because he makes Prussia into the Sparta of the North and had the military order of the Potsdam Giants. Enlightened Reforms - Abolished serfdom, banned capital punishment, and protected religious minorities. Pragmatic Sanction - violated this when he invaded Austria with the purpose of getting Silesia. Prussia vs. Austria. Austria wins, but Prussia gets Silesia. Prussia vs. Austria. Britain wins (typical). Philosopher who influenced a bunch of other philosophers such as Hegel, Nietzsche, and Goethe. Provided the basis for their writings. Also, his writings basically started Romanticism. This was the debate over how the German states should be unified. Gross deutsch is unifying all German speakers in one state, while kleine deutsch is for unifying only the northern states and leaving out Austria. Published Encyclopedia of Philosophical Sciences. Said that history advances through conflict and one phase of history creates its opposite. They wanted a new constitution which included an elected parliament and unification of the german states to form the German Empire (which doesn't happen). Crown offered to Frederick William IV. He rejected the crown, calling it a "crown from the gutter," because he was offered it by an elected parliament. Had it been offered to him by princes, he probs would have accepted it. Center for music during Enlightenment. Ottomans attacked Vienna. Sobieski of Poland saves the day. Pragmatic Sanction - said that his children must rule after him, even if it was a daughter. Prussia (Frederick the Great) vs. Austria (Maria Theresa). Frederick the Great got Silesia. Treaty of Paris (1763) - no major changes in Europe. Off continent, Britain gets France's colonies in America. His mother was Maria Theresa and he continued her reforms. Granted peasants the right to marry, abolished serfdom, was religiously tolerant, and eased persecution of the Jews. in office from 1821 – 1848, 1st chancellor under the reigns of Francis I (1821–1835) & Ferdinand I (1835–1848). Metternich System - censorship, espionage, suppression of nationalist and revolutionary ideas. Made to preserve political arrangements after Napoleon. Carlsbad Decrees - no liberal professers in universities, censorship of the press, no nationalist clubs. Concert of Europe - alliance between Austria, Prussia, Britain, and Russia to maintain balance of power in Europe. 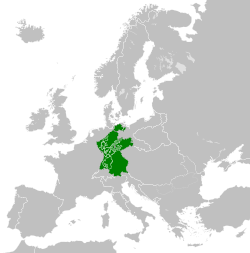 France later joined. 2 things he hates - liberalism and nationalism. Revolt of 1848 in France inspires people of Austria to revolt as well. They want a reformed government. Metternich flees to England. Franz Joseph re-establishes the old way. Emphasis on the individual. People decide their destiny. Influence by classical Greek and Rome. He was Pope Alexander VI's son. Machiavelli admired him because he was the first person to try to unite Italy. Banker who ruled Florence. Super-patron of the arts. Dominican Monk who accused Lorenzo de Medici of being an immoral, un-pious person. People believed him and kicked Lorenzo out. Then people realized he was wrong and burned him. Published "The Prince." It says that any way to maintain and gain power, no matter how corrupt, is just. "It is better to be feared than loved." Charles V invades Italy when el Moro invites him to. "Book of the Courtier" published. Talks about the ideal Renaissance man. Basically that he can do a little bit of everything. Published "Dialogue Concerning the Two Chief World Systems". Proved Copernicus's theory of heliocentrism to be correct. The church freaked out and made him recant. Published "On Crime and Punishment". Condemned torture and the death penalty. 3 Goals - legitimacy, balance of power, reparations. Italy - Large chunks given to Austria. Unsuccessful because revolts are divided between Young Italy, Sardinians, and Neo Guelfs. Romantic guy who is known as the "heart of Italian unification." His group was called Young Italy (People under 30). Wanted democracy.